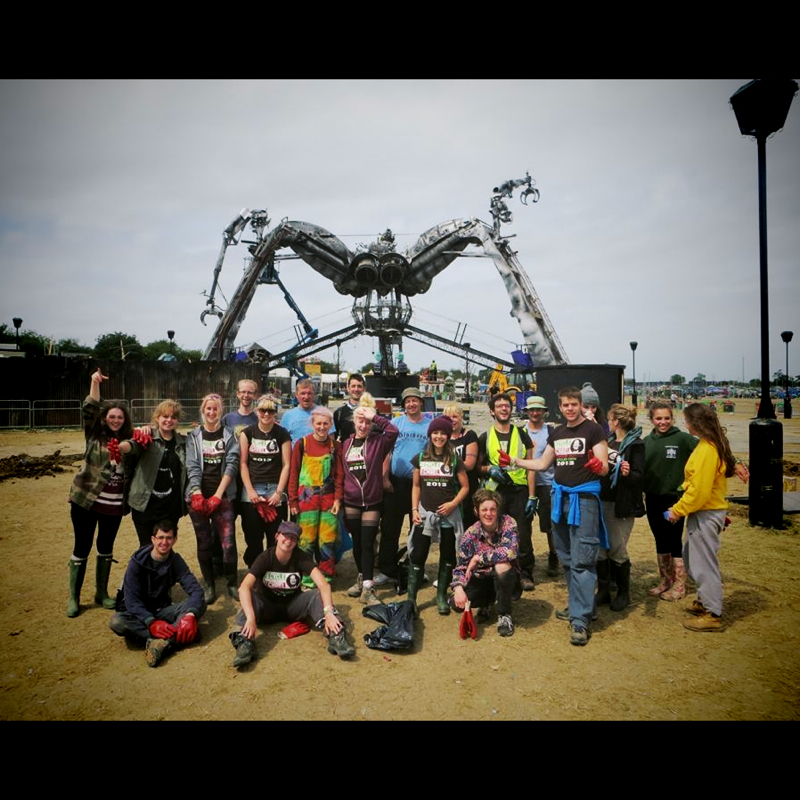 We have cleared up the rubbish at all kinds of different events over the years. The type of events we have worked for vary from road races, music festivals, parties and conferences (indoor and outdoor) events on heritage land, and inner city events. 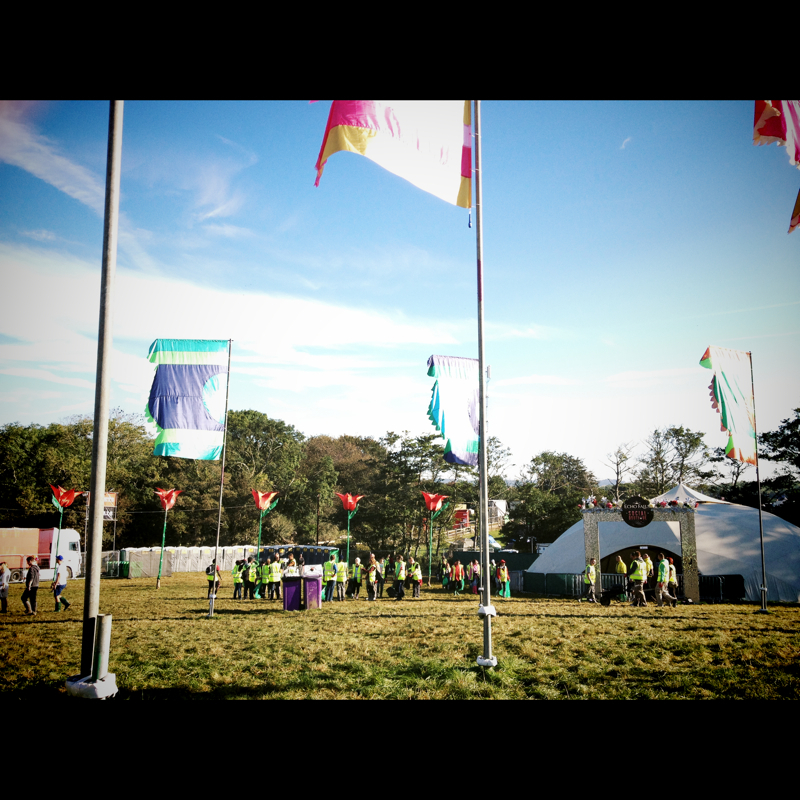 We have the flexibility to work at the very large such as Glastonbury Festival to the smaller more intimate festival such as Cornbury. Below are some images and a film of our operation to give an idea of what we've done. 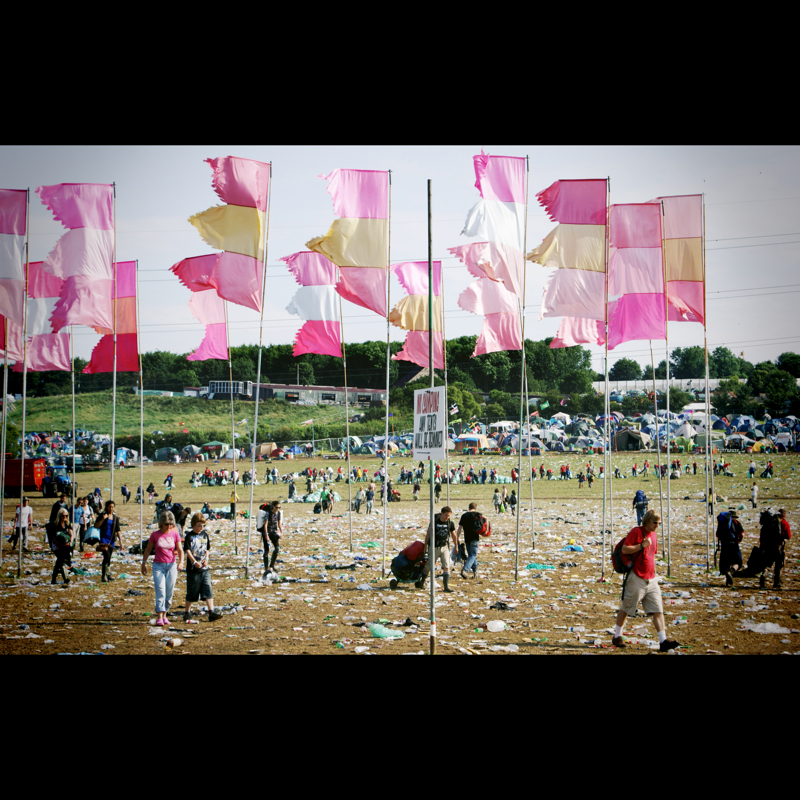 We are a sustainable waste management company who specialise in clearing up and recycling at events and festivals. 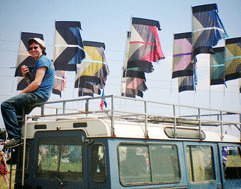 We have managed the waste for all kinds of events including music festivals, road races, indoor events and conferences. 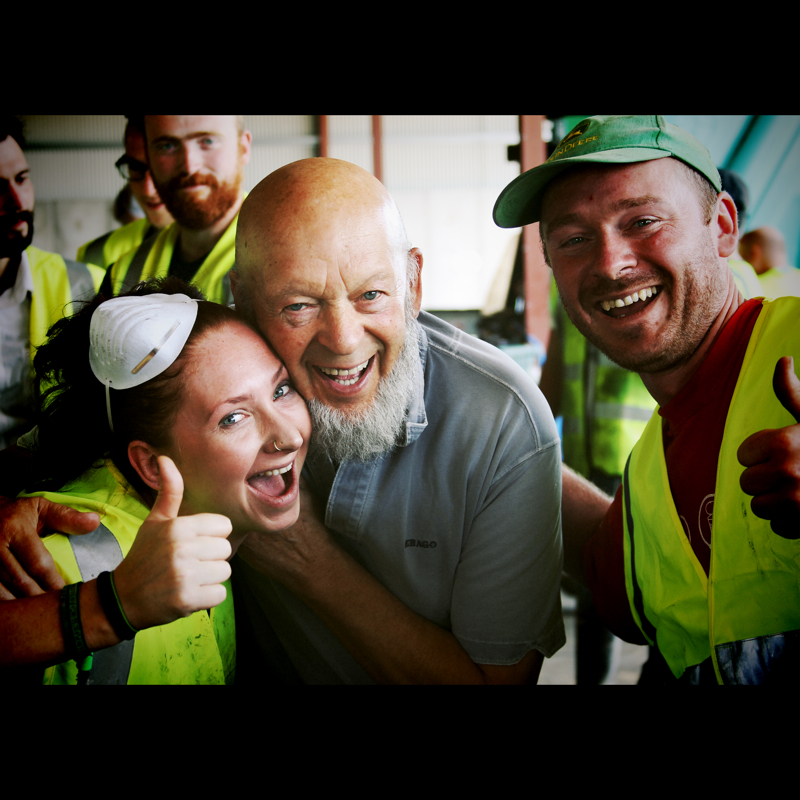 We have literally tons of experience in tailoring our service to the needs of each client, offering our customers sustainable solutions for their waste that can grow and evolve along with their event. We understand the events climate and our team are flexible and responsive both in the planning process and on the ground. 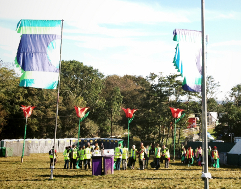 Above all though, we are extremely good at keeping event sites both clean and lovely for those who attend, and sustainable and hassle free for organisers. 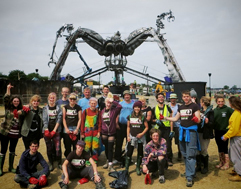 Critical Waste was formed in 2010, bringing together a team of people who are the best in their field (excuse the pun) at designing waste solutions to cope with event rubbish. 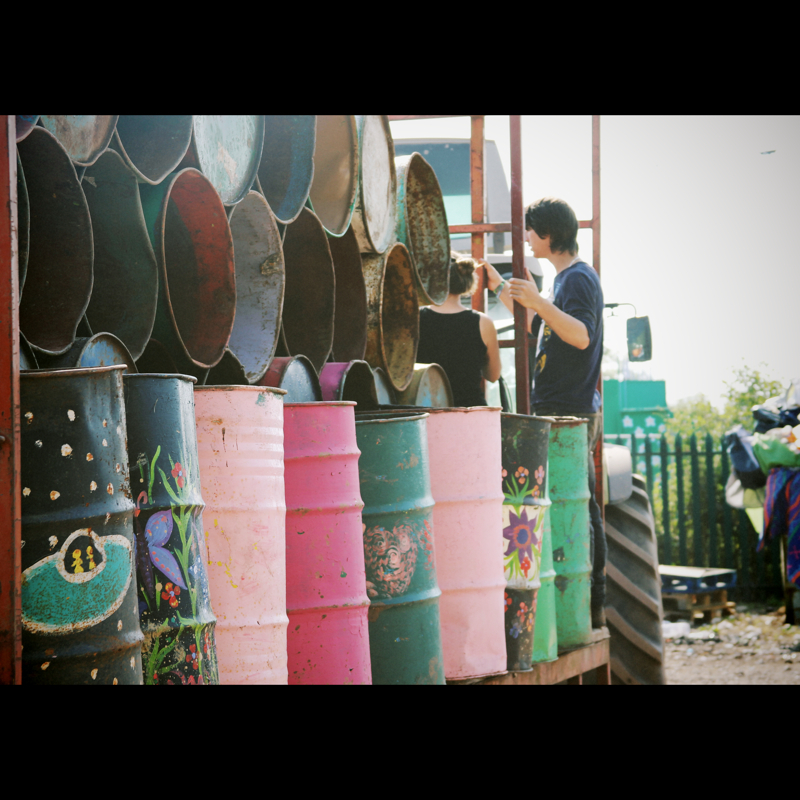 This team are passionate about rubbish, recycling AND events. Doing it properly is what we really love to do. 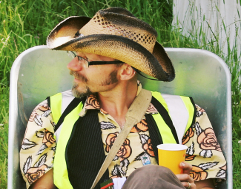 Between us we have the combined experience of managing waste at more than 50 different events over a period of around 12 years. 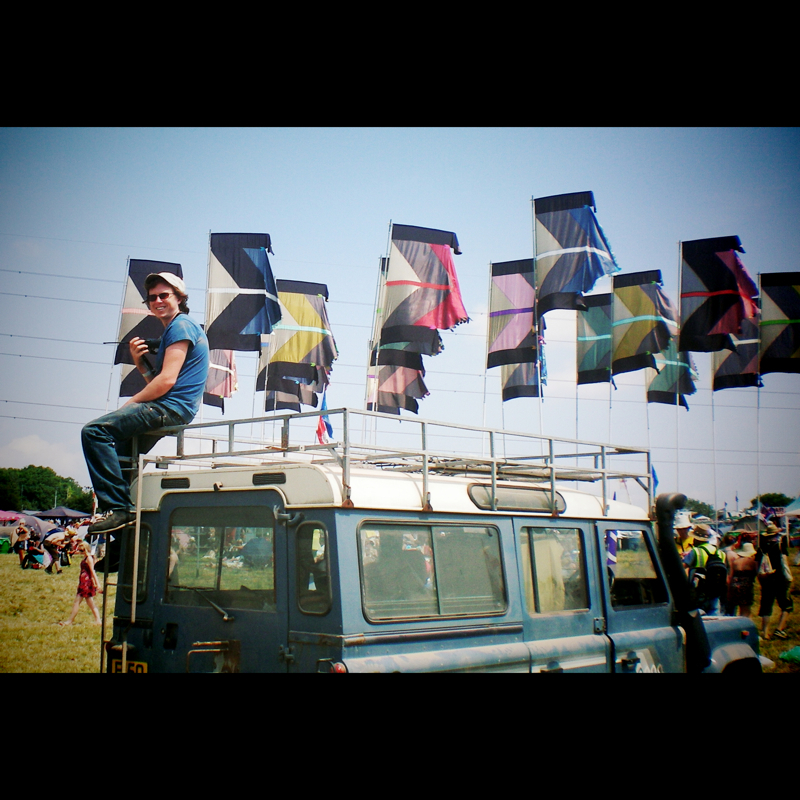 Our other manifestation 'Festival Recycling' has managed the waste at Glastonbury Festival since 2008. 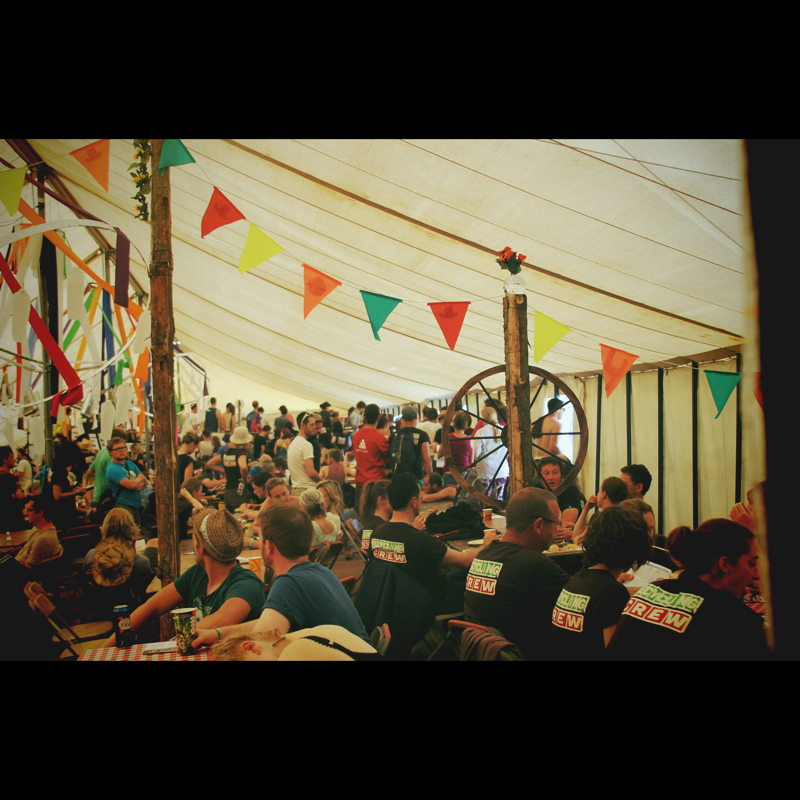 We also like to go to events - think its something special to create a temporary, amazing place, and enjoy managing the special challenges that this environment throws at us. 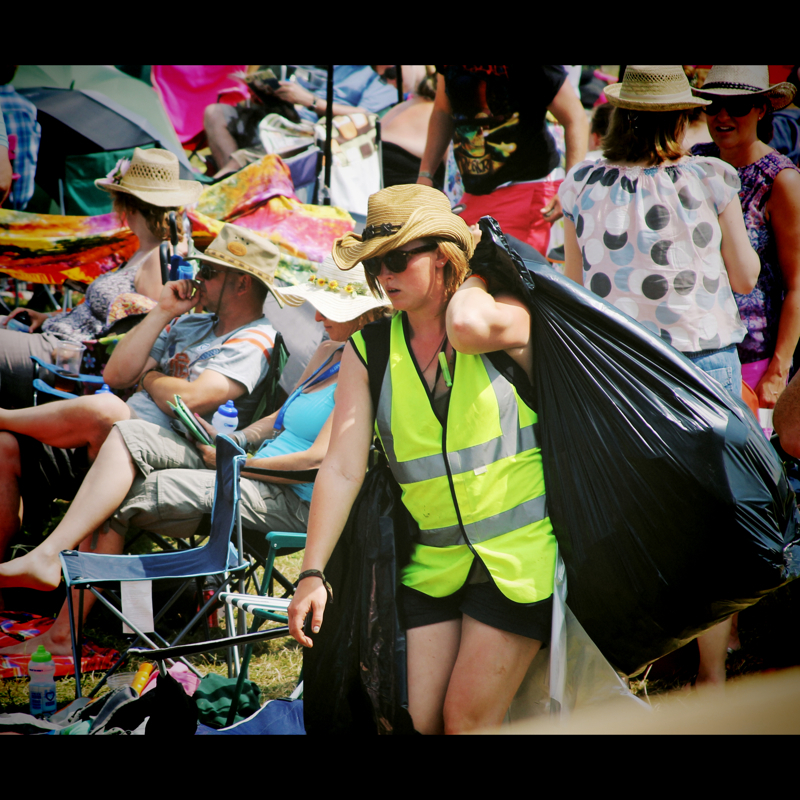 This year we need volunteer recyclers to help clean-up and green-up Boomtown Fair 2019! 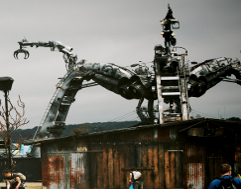 Boomtown is a brilliant festival on the incredible Matterley Bowl Estate near Winchester. With over 100 stages and venues and an emphasis on reggae and dance music, it’s a four day party you can really get lost in. The set building is incredible and many of the venues are hidden away in alleys or deep in the woods. There are also great kids and craft areas up on the hill, Whistler’s Green, if you want to shift down a gear or two. 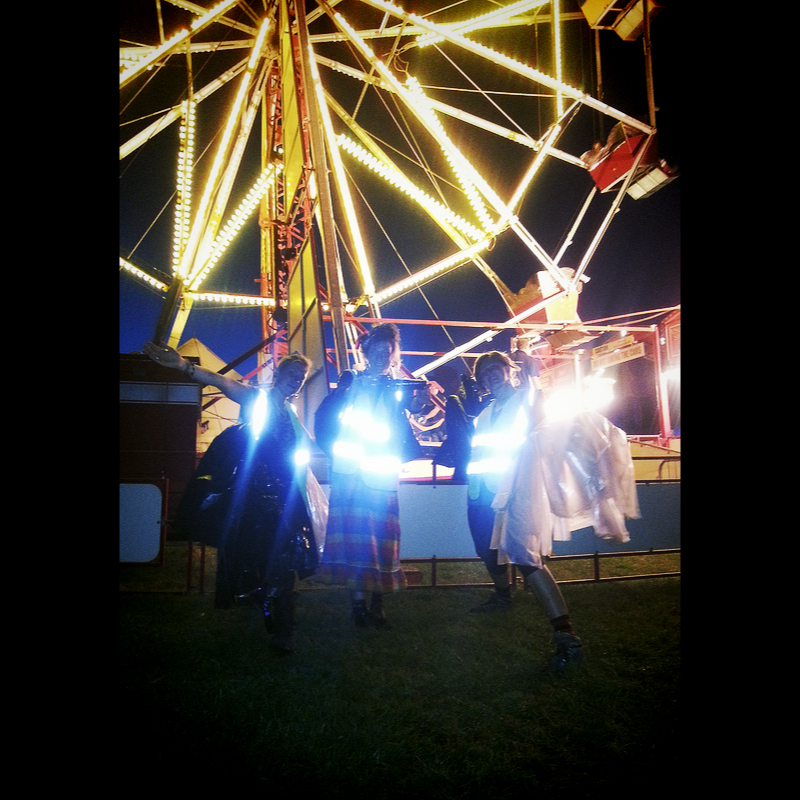 We ask you to complete 3 x 8 hour shifts with options to do those during and/or after the festival. 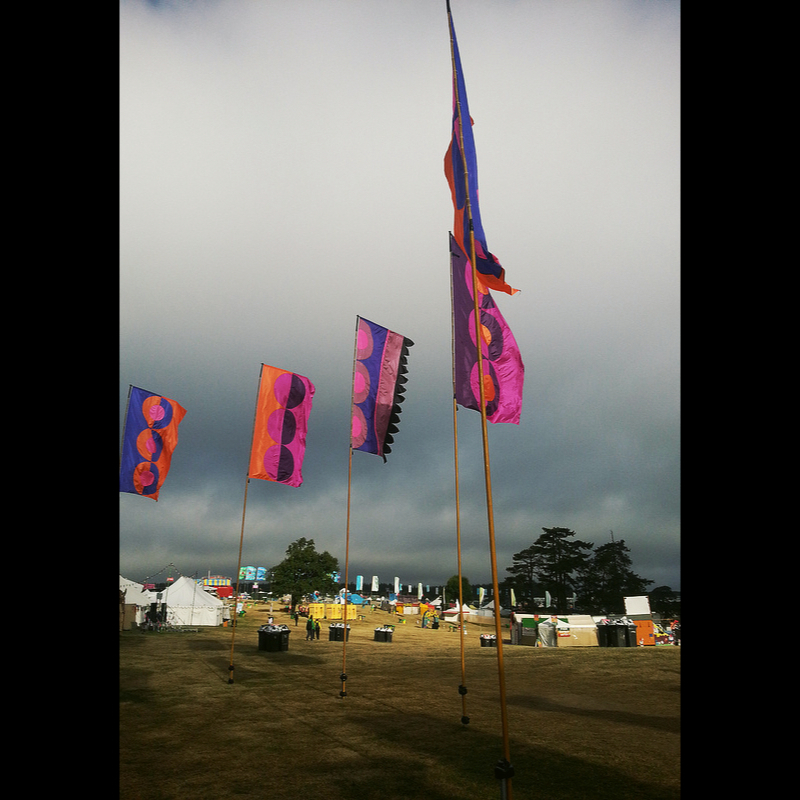 We provide crew catering and a nice crew campsite with showers and toilets (of course). Shifts start at 7am, and although we say they last 8 hours, we’ll stop as soon as we get the site clean. 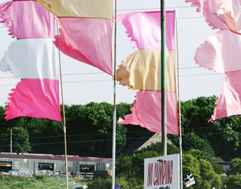 Festival gates open on Wednesday 7th August, but work doesn't start until Friday 9th or Saturday 10th - depending which shift pattern you choose. 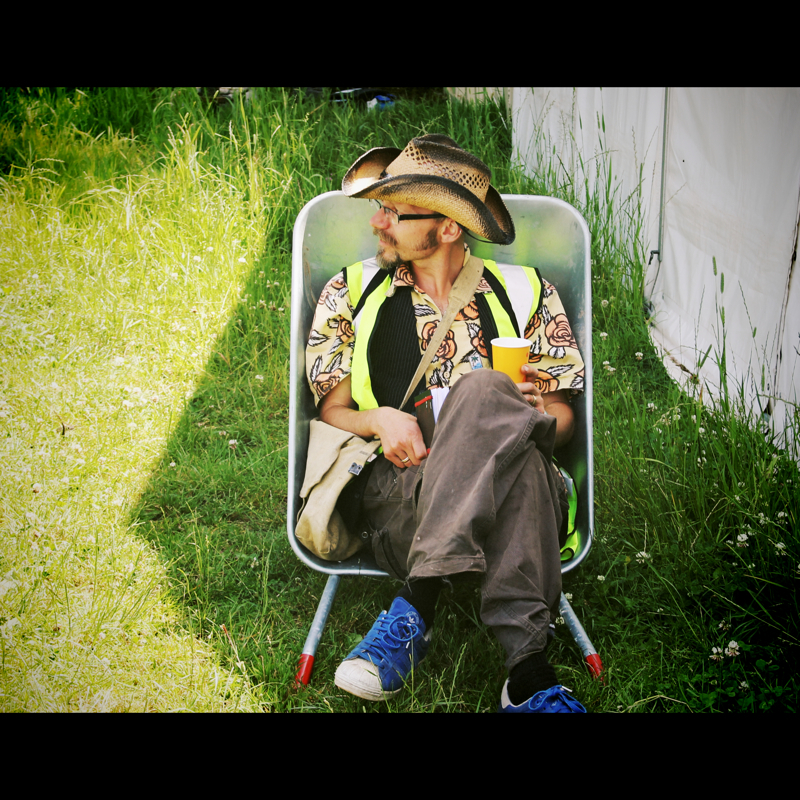 If you like the sound of volunteering at Boomtown, you can apply through their volunteer website. You will need to pay a security payment which will be returned, minus a small admin fee when you’ve completed your shifts. 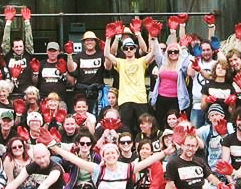 We’ll give you a crew t-shirt to say thanks (tell us your size on the form). Login to your account - or register to work with us. 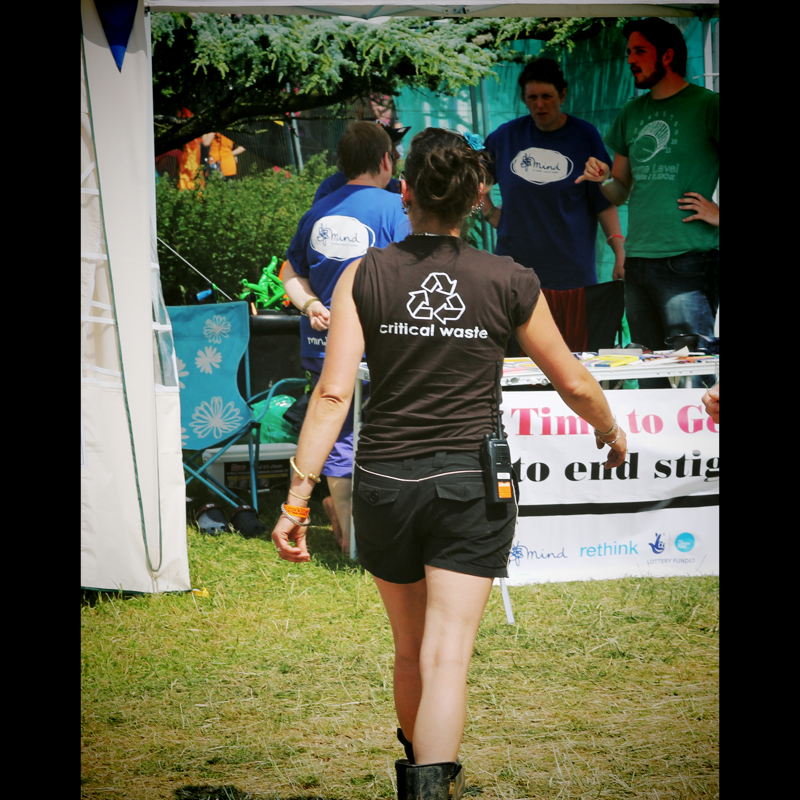 Our aim is to work with our clients both before, during and after in order to keep the event spotless, whilst capturing the most recycling possible and diverting it from landfill. 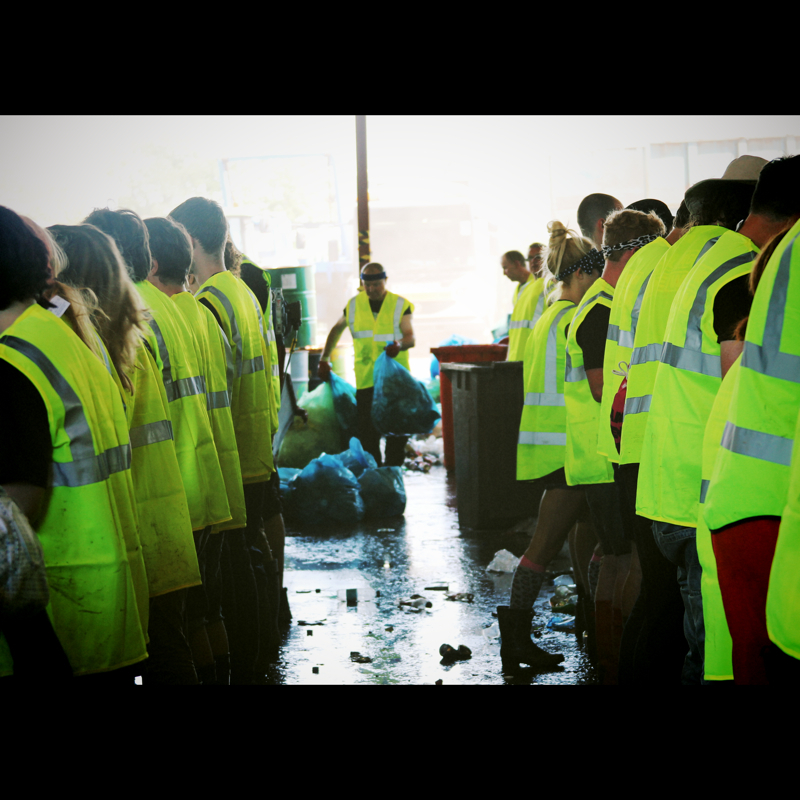 This process ensures that our client's events are clean and sustainable whilst also keeping down the increasing cost of sending waste to landfill. We are however always open to new challenges and ways of doing things, so please feel free to discuss with us any ideas you may have for your event's waste. We have found that ground breaking new ideas can achieve big results with a bit of careful thought and planning. 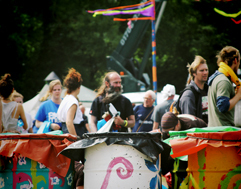 One example of this being the implementation of a composting system at Glastonbury Festival in 2005 - a new innovation at the time which has grown and become an integral part of the waste management at that event, helping to raise their recycling figure to a groundbreaking 50%. 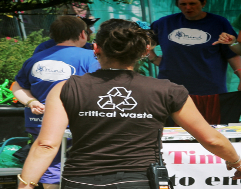 If you are looking for a quality waste management service then please feel free to give us a call about your event so we can put together a proposal for you to look at. We are more than willing to give ballpark type quotes for new events who are looking to figure out their feasibility. 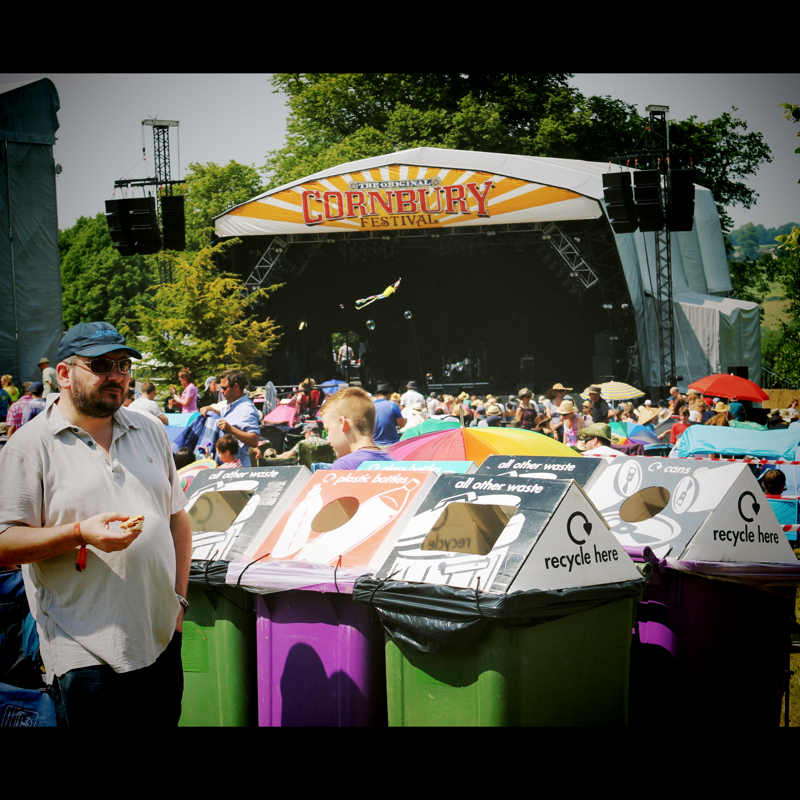 We have the flexibility to work with organisers to introduce new waste and recycling systems in order to gain your event more sustainability over time. 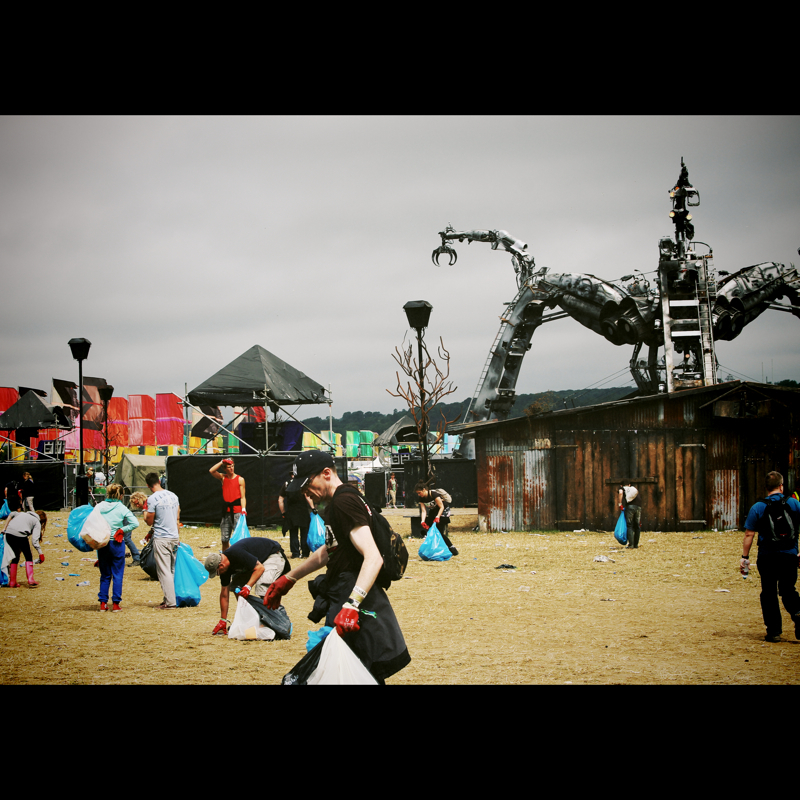 Our recycling systems are tried and tested, both for dealing with event waste and in extracting the largest amount of recycling possible. Source separation is essential to a achieving a good recycling rate. 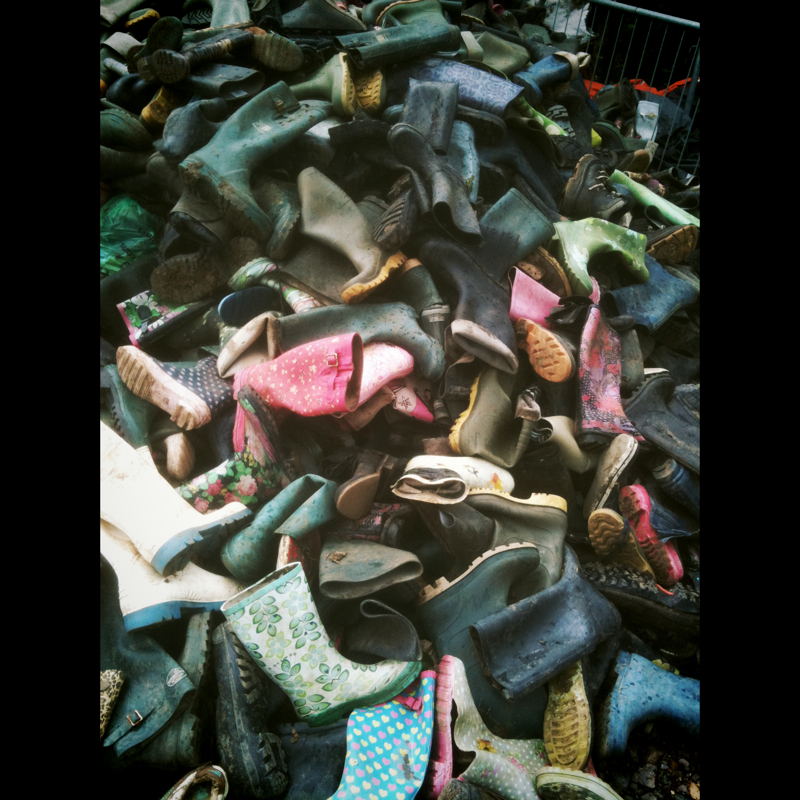 It's never been possible to send unsorted waste off site to have it recycled properly elsewhere. We always source separate waste. With well signed bins for different materials for the public and traders, plus colour coded bags for the litter pick we make sure we don't miss any chance to pull out recycling. 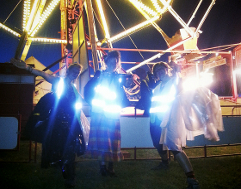 This doesn't slow us down as we realise events and festivals move fast and wont wait for us. Our crew has years of experience and can clear a site as quickly as the companies who just throw it all away. 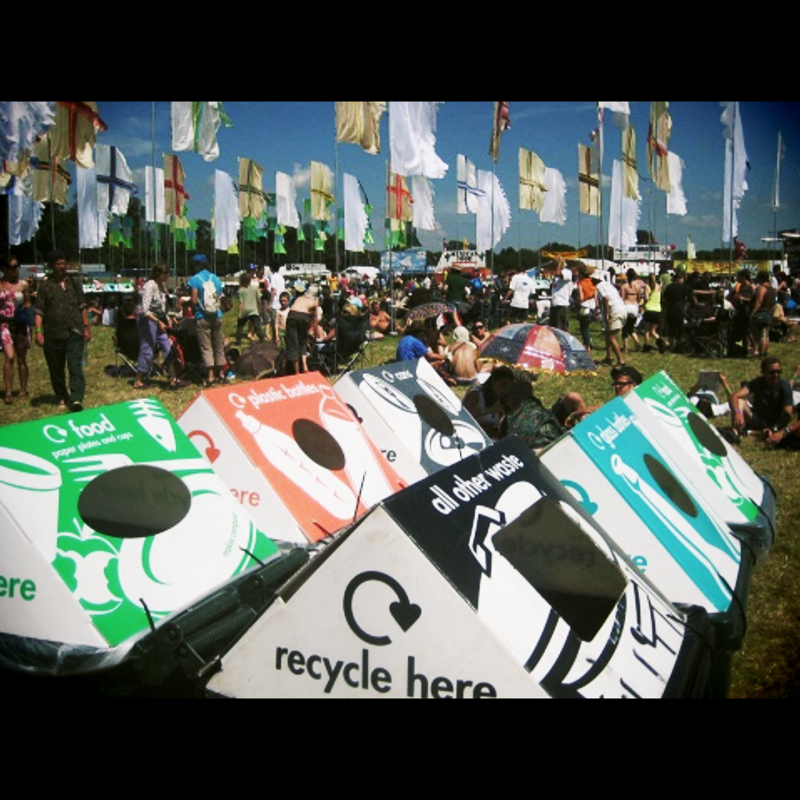 When our high quality recycling leaves the event site we always work with local and reputable companies for final disposal, choosing those who keep the material in the UK and Europe wherever possible. 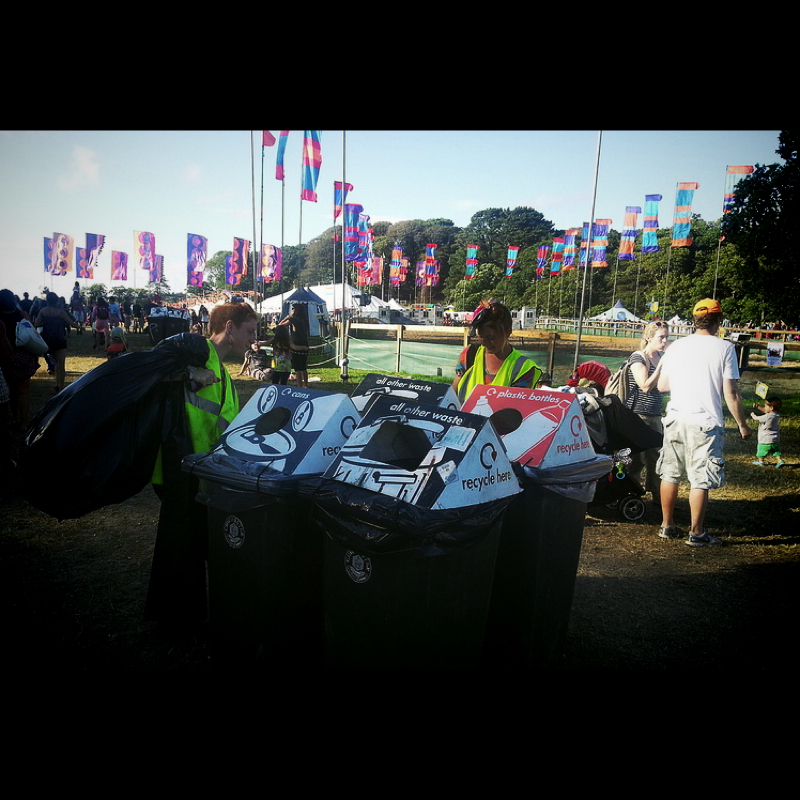 After the show we provide organisers with the figures to understand the waste that's come out of their event. 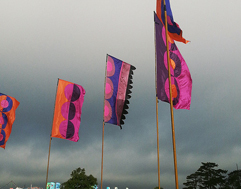 These can be used to promote an event's commitment to the environment. Our figures are reliable and have stood up to scrutiny and auditors - which we welcome in an industry that is rife with false claims and greenwashing. 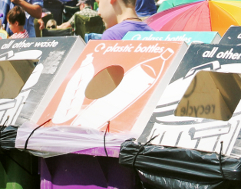 The simple premise that underpins genuine recycling is that if the waste from an event is not being separated at source then it's probably not receiving a proper recycling service. 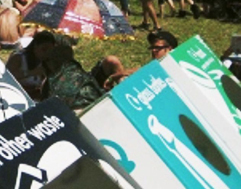 Which is what an event is paying for after all, especially taking in to consideration that the increasing cost of sending waste to landfill can be reduced by recycling. 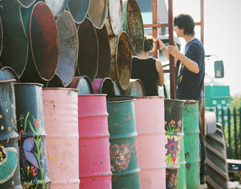 Our part in the global issue of waste is small in terms of tonnage but large in cultural significance. Public events help form our attitudes and the promotion of environmental sustainability in these places can have far reaching effects. The waste hierarchy of Reduce, Re-use, Recycle is a good basic concept that we work with for our operations. 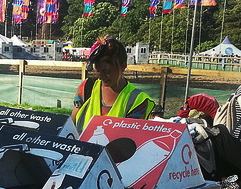 The longer we work with an event the more we can do to reduce the waste it produces. We can give advice on the materials and methods used during the build and the packaging that traders bring on-site for the show. If we know what is going to arrive on-site we'll be ready to capture it for recycling. We are always looking to design new innovations in this area to improve rates and participation. We send items for re-use whenever we can. It's much better if an item can be used again in it's original state than to be mashed up and manufactured in to something else. 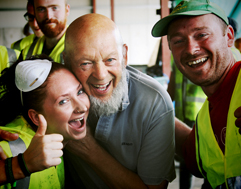 We have built the contacts with community and charity groups to enable us to make an impact on abandoned camping equipment. We collect in bread crates, LPG containers and waste oil and we work with charity groups who collect surplus food for use in food-banks. Temporary events will probably always use a lot of single-use items. The basic types of food and drink packaging; cans, bottles and cardboard are generated in huge volumes. We've become experts at collecting and separating these items and recycling them, saving this valuable resource from going to landfill. What's left after all this is called 'residual waste'. Whenever possible we send residual waste for mechanical and biological treatment, a last chance to extract anything we've missed. - We can be trusted to design an informed, cost effective service for your event so you have one less thing to worry about. - Our experience and reputation can offer your event the credibility needed to gain your license. - Good advice and peace of mind regarding compliance with Environment Agency and waste legislation. 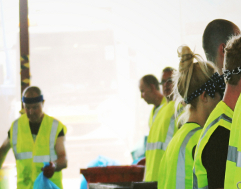 - We keep up to date on developments within the waste industry especially with reference to new technology and disposal, ensuring that you have access to the best advice and knowledge. - Well designed bin stations (with clear signage) which have more than proved to be the best system for dealing with front of house waste. - Specially designed trade waste containment to ensure that high quality separation and cleanliness are maintained. 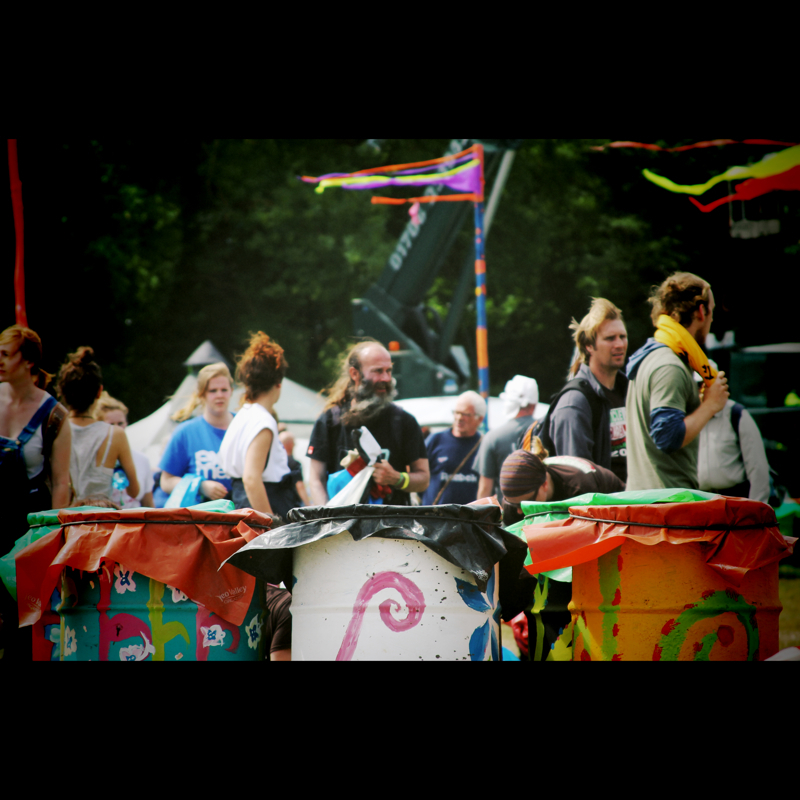 - Well placed, signed and designed waste containment for camping areas. - A professional crew on the ground who are dedicated to responding to any waste issues quickly, positively and efficiently. 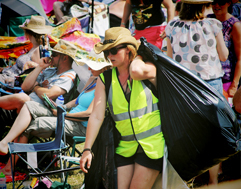 - High quality litter picking which is able to respond to an event's deadlines. (We've never failed to meet a deadline yet, despite short notice changes and bad weather). - All the containment methods mentioned are regularly serviced. - Fast and efficient clearance allowing the site to be returned to the owner on schedule. (We have often found that land owners want us to be the waste contractor and we understand that an event's relationship with them is very important). 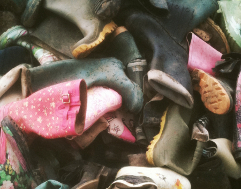 - We offer a fully accountable duty of care procedure, so you can be sure your waste is disposed of properly and the maximum amount of material is recovered, recycled and diverted from landfill. 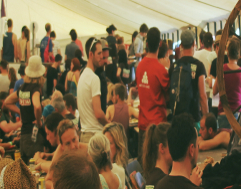 - We also offer a post event report which includes your event's all important recycling figure and any points which may need attention for the following year.